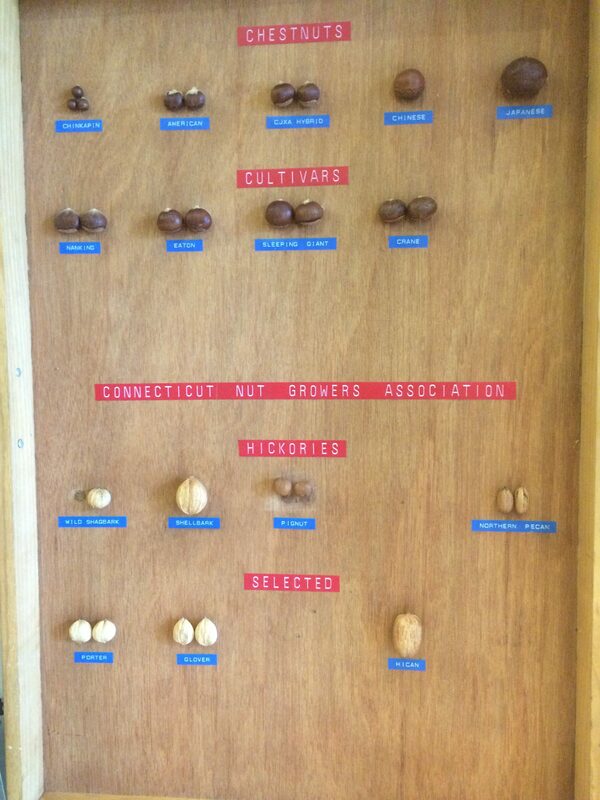 Those Nutty Gardeners: PA & NY Nut Growers Association! Well, we all know gardeners can be a little nutty, but these next two groups take the cake. The Pennsylvania Nut Growers Association (PNGA) and New York Nut Growers Association (NNGA) asked POP to join them at their spring meeting at Delaware State University in Doylestown, PA this year, and it was well worth the drive to meet them! We got got to learn about some great work being done in Pennsylvania and New York, which we’d love to tell you about. 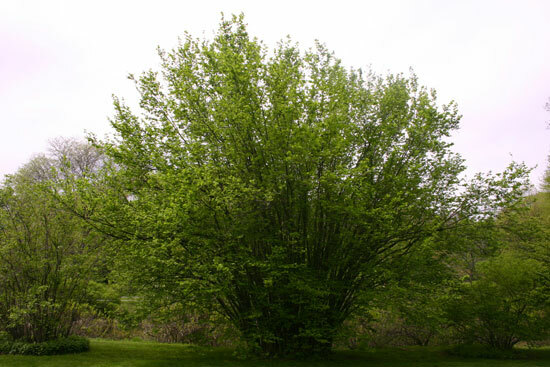 Formed in 1932 to promote interest in hardy nut growing trees, their products and their culture, PNGA is a non-profit group dedicated to assisting local professionals, hobbyists, and students in growing higher quality nut trees. They offer a wide range of opportunities, including tree grafting workshops, demonstrations, farm tours, and newsletter articles as well as access to a network of experienced members. On this fine day, we heard about commercialization efforts for Eastern Hazelnuts, the Gleaning Project of South Central Pennsylvania, the Hundred Fruit Farm Permaculture CSA, the Downingtown nut tree plantings of John W. Hershey, farm succession, and government resources to help farmers with legal issues all in one place! This was all followed by grafting demonstrations, where a hickory grafted before our very eyes was donated to us here at POP. It was encouraging to hear that the Upper Midwest Hazelnut Development Initiative is to working to support the growth and commercialization of the hazelnut industry through efforts in grower support, targeted research, and technology transfer. These folks (which include our new Orchard Director Michael’s former adviser) see an opportunity for substantial regenerative agriculture through Hazelnuts that can contribute perennial food, an array of value added products, and biofuels. Could this be true or are they just nuts? 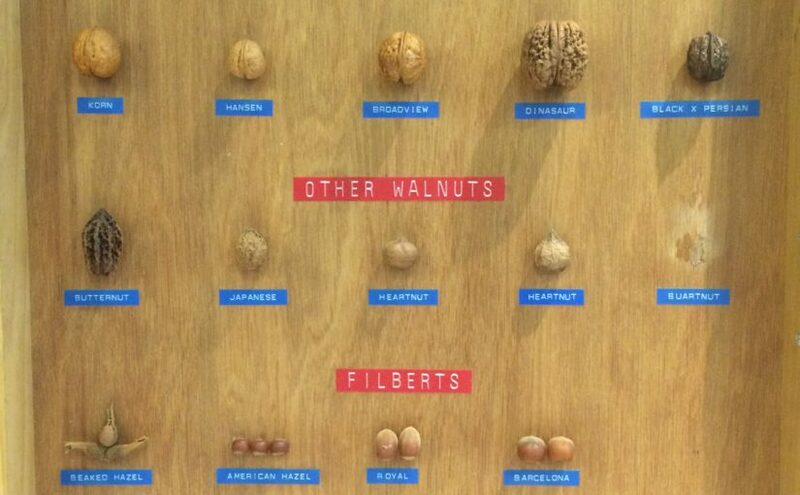 Apparently, the american hazelnut is more than just a nut. It is 81% oleic acid, making it one of the healthiest oils available and also a superior feedstock for biodiesel and other bio-industrials. It’s claimed that hazelnuts grown in Nebraska have shown the potential to yield twice as much oil per acre as soybeans, which is a step up in the attempt for sustainable biofuels. Aside from these special value added products, The Upper Midwest Hazelnut Initiative describes their use in trail mixes, nut clusters, nut butters, and on their own all while lending itself to mixed regenerative and perennial agriculture approaches. Hazelnuts are among the nut trees we’ve been planting in urban orchards because they can be grown as a bushy shrub and kept to a very manageable size through pruning- a perennial food source indeed if you can keep ahead of the squirrels! 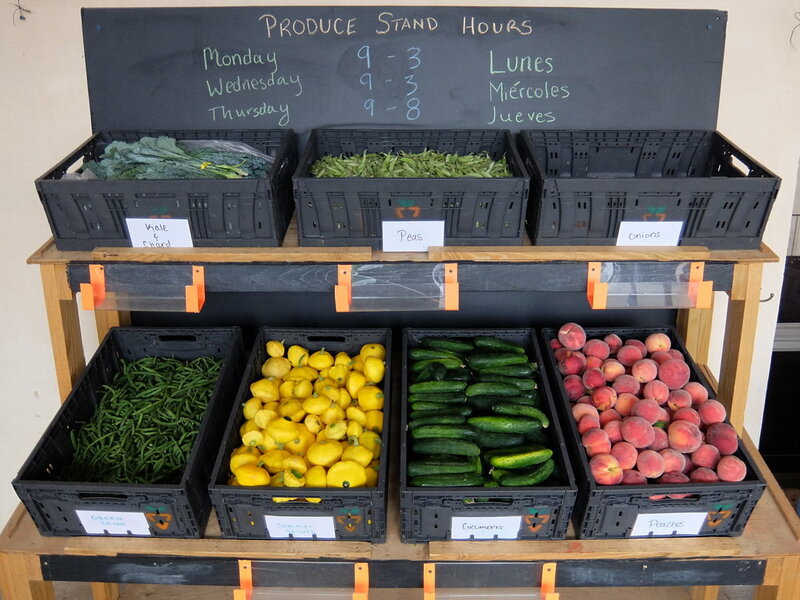 Also in the room were fellow gleaners in South Central PA taking on food waste in a big way with The Gleaning Project. Much larger than our own POPHarvest gleaning program but something to strive for, The Gleaning Project has over 120 partners and is gleaning over 300,000 lbs of produce, feeding over 26,000 food-insecure individuals each year! This effort started as a volunteer side project of two growers in Adams County, Jan and Jerry Althoff, under a national faith-based gleaning and food recovery non-profit. After 4 years of expanding the Gleaning Project alongside running a nursery business, the effort was ultimately adopted by the South Central Community Action Program and has grown into what it is today. This story demonstrates the power of dedicated volunteers and good hearts, and we are glad to see you shine. And check this out! If you want to see why planting fruits and nuts is a good idea, you’ll have to check out the remnants of John W. Hershey’s tree nursery in Downingtown, PA. Mr. Hershey is said to have worked very hard toward the improvement of native fruit and nut trees in the region during his time. While the land his nursery existed on had been sold after his death with houses and buildings subsequently built throughout, much of his work still stands tall today. We’ve heard of bur oaks that produce low tannin content acorns, large american persimmon trees, grafted thornless honey locusts, large grafted Northern pecans, hicans, hickories, walnuts, shagbarks, and sweet pignuts that still stand from the original nursery, and we plan to take a trip soon to investigate further! 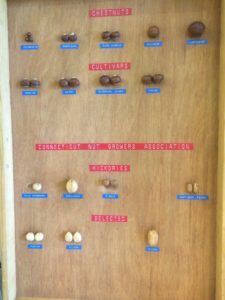 The knowledge and experience present at the nut grower’s meeting was rich, diverse, and in this observer’s opinion, should be thoroughly documented and distributed. We heard from tree crop growers young and old, including new permaculture-based Hundred Fruit Farm in Buckingham PA; Wild Ridge Plants with their edible, medicinal, and native offerings; and even how to plan for your farm’s succession when you start to worry about reaching that age. The reason we were all there together? We are passionate about one thing. 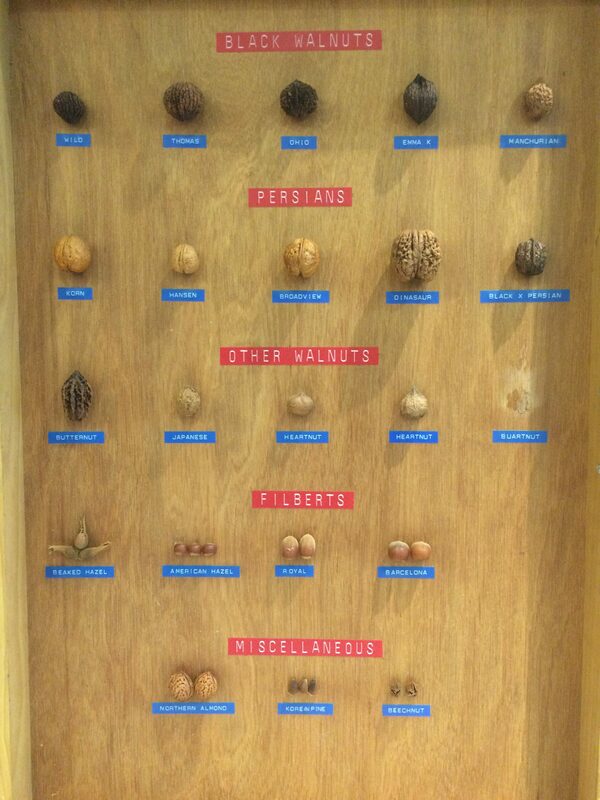 . . which is, absolutely, nuts! These folks seem to be on to something, however, so we hope to connect again soon. 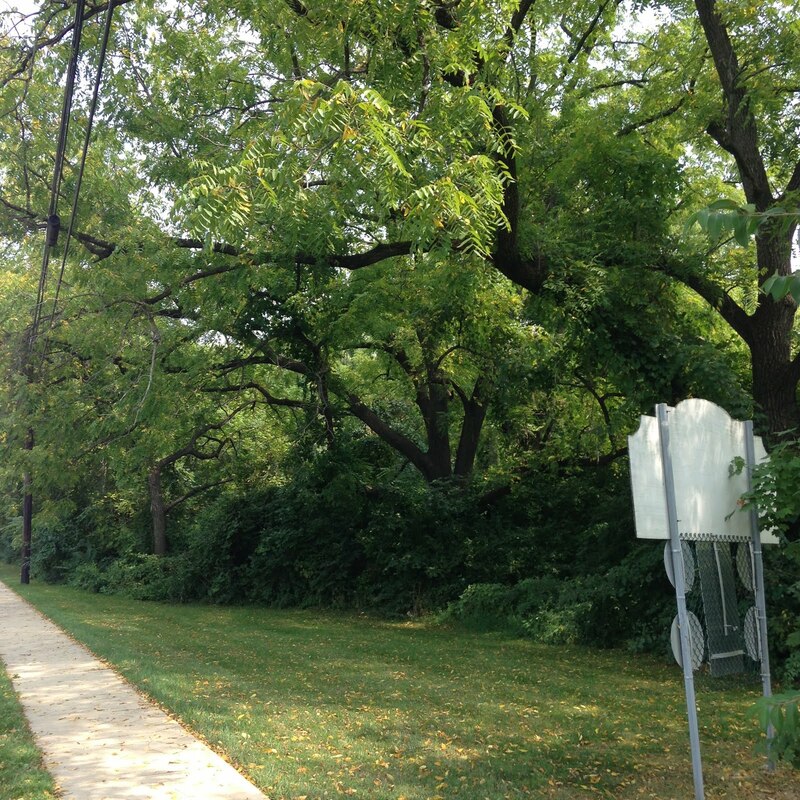 This blog post written by POP Orchard Director Michael Muehlbauer.